CarloGavazzisensors India, Meanwell India, Fotek India.We are dealers, suppliers, distributors ofwide range of sensors inIndia,we deals with CarloGavazzi Proximity Sensors, CarloGavazzi Inductive Sensors, CarloGavazzi Capacitive Sensors, Photoelectric Sensors, Ultrasonic Sensors, Level Sensors etc and supporting the customers in better aspects all overIndia. Part No. : Carlogavazzi Photoelectric Through-beam Type PA18. Output: 100 mA, NPN or PNP, N.O + N.C.
We sree dhanam automation pvt ltd is the authorized distributor for Carlo Gavazzi, fotek, meanwell IN INDIA. 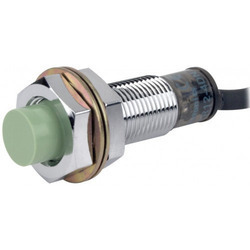 CARLOGAVAZZI INDIA capacitive sensors are used for non-metallic sensing objects and also used in several applications like level sensor,oil level sensor etc. our capacitive proximity sensor in carlogavazzi and fotek are in both metal case and plastic case. We are dealing wide range of other products apart from capacitive sensors like capacitive sensors, Inductive Proximity sensors, Photo sensors, Level sensor, loop detector, ultrasonic sensors, Temperature controller, power regulator, light curtain Solid state relay(SSR), Electro mechanical relays(EMR), current monitoring relay, Voltage monitoring relay, smps etc., supporting the customers in better aspects all over india. 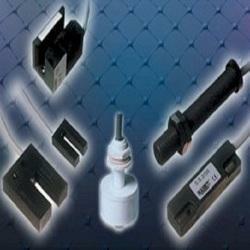 Capacitive Sensor Our major customers are presented in all over India. We are covering the following cities like capacitive sensor Chennai, Madurai, Coimbatore, Pondicherry, carlogavazzi capacitive sensors Bangalore, Hubli, Hyderabad, Vizag,carlo gavazzi Mumbai, Biwadi, karnataka, Delhi, Pune, Noida, Haryana, Faridabad, Ghaziabad, proximity sensor Gujarat, Baddi, Indore, Surat,capacitive sensors in andhra pradesh capacitive sensor Ahmedabad, Vadodara, Vapi,Fotek Maharashtra,tamilnadu, Kolkata, Westbengal, Udaipur, Jaipur,mysore,carlogavazzi Punjab, Silvassa, Ludhiana, Kashmir, fotek G,oa, Jharkhand, Odisha, etc. Carlo Gavazzi's patented Tripleshield ™ Capacitive Sensors have become the standard all other manufacturers are measured against. All Tripleshield sensors are tested to withstand electrostatic discharges up to 40 KV, line transients up to 4 KV, and airborne noise (ie. cellular phones) up to 15 V/m. Furthermore, some models have built-in humidity compensation. Capacitive sensors will detect most materials - conductive and non-conductive. This makes them ideal for level detection in raw plastic delivery systems and in agricultural applications. Being a client-centric organization, we are engaged in offering a distinct collection of Proximity Sensor. Our vendor’s professionals manufacture this sensor using well-tested raw material and sophisticated technology. In addition to this, our offered sensor is rigorously tested by our quality controllers against diverse parameters in order to deliver a defect-free range at clients end. Moreover, the offered sensor is extensively appreciated by our clients for featuring variegated attributes like easy installation and durability. Since our inception, we are instrumental in offering premium quality Inductive Sensors. Offered sensors are majorly used for metal object sensing applications. They have special feature like extended range or double sensing range, since the other brand sensors are having a normal sensing range whereas our sensors are the double sensing range in the same diameter.Besides being manufactured from high-grade raw material and latest technology, the offered sensors are inspected properly by our vendor’s. These sensors are used extensively in packaging and plastics machines, assembly lines and conveyor systems. The offered sensors are available with us in various sizes and shapes at affordable price. We have emerged as a leading organization, engaged in offering superior quality Capacitive Sensors that widely used in non-metallic sensing applications. Our vendor’s manufacture these sensors by making use of high-grade raw material and high-end technology so as to maintain the set industry standards. To make a flawless dispatch from our end, our offered sensors are rigorously inspected by our quality inspectors against various parameters. These sensors are broadly acknowledged by our clients for their light weight and sturdiness. Carlo Gavazzi's patented Tripleshield Capacitive proximity Sensors have become the standard all other manufacturers are measured against. All Tripleshield sensors are tested to withstand electrostatic discharges up to 40 KV, line transients up to 4 KV, and airborne noise (ie. cellular phones) up to 15 V/m. Furthermore, some models have built-in humidity compensation. Capacitive sensors will detect most materials - conductive and non-conductive. This makes them ideal for level detection in raw plastic delivery systems and in agricultural applications. Facilitated by technically advanced process, we are presenting a distinguished collection of Conductive Sensors. Our offered sensors are manufactured by utilizing optimum quality raw material and advanced technology by our vendor’s expert professionals. In order to ensure quality, these sensors are rigorously tested on various parameters. In tune with industry standard, we provide the entire range in various sizes, as per the ever-evolving requirement of our clients. Multiple application operations by means of dip-switch settings. We are authorized distributor for Magnetic Sensors. We are dealing wide range of products like capacitive sensors, Inductive Proximity sensors, Photo sensors, Level sensor, loop detector,Temperature controller, power regulator, light curtain, Solid state relay(SSR), Electro mechanical relays(EMR), current monitoring relay, Voltage monitoring relay, smps etc., & supporting the customers in better aspects.We are providing one year warranty for our products. Carlo Gavazzi offers a comprehensive range of Magnetic Sensors to be used in proximity of detection applications. They are employed in conjunction with an external magnet: when the sensor approaches the magnet, the output from the sensor will change state. 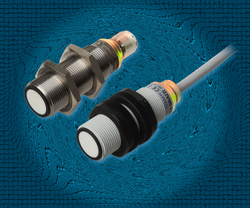 Typically these sensors will have a longer sensing distance than typical proximity sensors. Moreover, the output will be a mechanical contact. There is a wide variety of styles available including rectangular, cylindrical, and slotted ones. 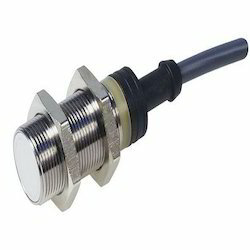 In addition, special coded magnets and sensors are available for use in safety applications. Magnetic sensors are frequently used on elevators and lifts, gate control, level detection, and access control. 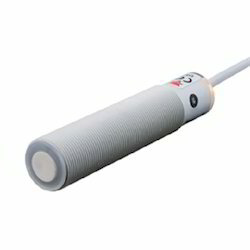 We are Importers & distributors for Ultrasonic Sensors, fotek,meanwell in INDIA. 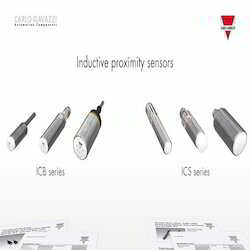 Ultrasonic Sensors from carlogavazzi is of high sensing capacity with 1year warranty,our ultrasonic sensors has with digital and anlaog output models with wire type and connector type. our sensors has 18mm and 30mm dia with higher range of sensing distance upto 8000mm our ultrasonic sensors series are UA18, UA30, UA12 etc. Other than ultrasonic sensors we have wide range of other products like capacitive sensors, Inductive Proximity sensors, Photo sensors, Level sensor, loop detector, light curtain, Solid state relay(SSR), Electro mechanical relays(EMR), current monitoring relay, Voltage monitoring relay, smps,power supply, etc.,& supporting the customers in better aspects all over india. We are providing one year warranty for our products. Carlo Gavazzi's Series Ultrasonic Sensors are designed for both distance measurement and object detection in tough environments. Discrete output types are available for presence and absence detection, and are ideally suited for detecting objects,such as transparent objects, that cannot be reliably detected by other sensors. Among our sensors range, analogue output types are available for applications requiring a measurement of the target object, such as detecting the level of fluid in a tank. The Windows version also allows settings to be saved and downloaded to multiple devices. 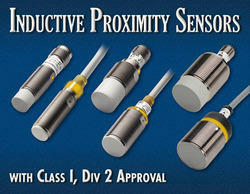 Proximity sensors Our major customers are presented in carlogavazzi Northindia & SouthIndia. We are covering the following cities like Chennai, Madurai, Coimbatore, Pondicherry, proximity sensors Bangalore, Hubli, Hyderabad, Vizag,Tamilnadu, Carlogavazzi Proximity Mumbai, karnataka, Biwadi, Proximity sensors Delhi, Pune, Noida, Haryana, Faridabad, Ghaziabad, Andhrapradesh, Proximity Gujarat, Baddi, Indore, Surat, Tamilnadu, Ahmedabad, Vadodara, Vapi, Maharashtra, Kolkata, Westbengal, Mysore, Udaipur, Jaipur, Punjab, Silvassa, Ludhiana, Kashmir, Goa, mysore, Jharkhand, Odisha, etc. We are authorized distributor for CarloGavazzi,fotek,meanwell In INDIA. We are dealing wide range of products like environmental sensors,and other products like capacitive sensors, Inductive Proximity sensors, Photo sensors, Level sensor, loop detector, smps, led driver, powersupply, switch mode power supply etc., supporting the customers in better aspects. Environmental sensors CGES series by CarloGavazzi are designed to measure environmental parameters as CO2, humidity, temperature and air velocity. Main market applications are Hvac and building automation. Wind sensors are designed for measuring in a wide variety of applications including wind turbines, cranes, weather stations, green houses. Our major customers are presented in carlogavazzi india.We are covering the following cities like Chennai, Madurai, Coimbatore, Pondicherry, proximity sensors Bangalore, Hubli, Hyderabad, Vizag, Tamilnadu, proximity Mumbai, karnataka, Biwadi, proximity sensors Delhi, Pune, Noida, environmental sensors Haryana, Faridabad, Ghaziabad,andhrapradesh,proximity Gujarat, Baddi, Indore, Surat, tamilnadu, Ahmedabad, Vadodara, Vapi, Maharashtra, Kolkata, Westbengal, mysore, Udaipur, Jaipur, Punjab, Silvassa, Ludhiana, Kashmir, Goa, mysore, Jharkhand, Odisha, etc. We are authorized distributor for Safety Magnetic Sensors in india.We are dealing wide range of safety magnetic sensors and other products like capacitive sensors, Inductive Proximity sensors, Photo sensors, Level sensor, loop detector, light curtain etc. & supporting the customers in better aspects all over india. The SMS series encoded safety magnetic sensors are used to monitor the position of hinged, sliding or removable guards of industrial applications. 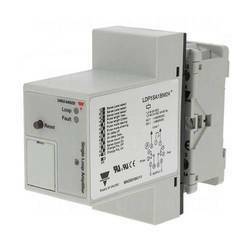 Carlo Gavazzi safety sensors stop or disconnect the dangerous motions, if the mobile protections are opened or displaced. They are suitable for safety gates applications up to safety category 4. SMS safety magnetic sensors are the right answer in harsh industrial environments with damp and dusty condition up to applications where demanding hygienic standards are required. Our major customers are presented in carlogavazzi Tamilnadu, andhrapradesh, karnataka, maharashtra, madhyapradesh, uttarpradesh, haryana, gujarat etc. We are covering the following cities like Chennai, Madurai, Coimbatore, Pondicherry,proximity sensors Bangalore, Hubli, Hyderabad, Vizag, Tamilnadu, proximity Mumbai, karnataka, Biwadi,proximity sensors Delhi, Pune, Noida, Haryana, Faridabad, Ghaziabad,andhrapradesh,proximity Gujarat, Baddi, Indore, Surat,tamilnadu, Ahmedabad, Vadodara, Vapi, Maharashtra, Kolkata, Westbengal,mysore, Udaipur, Jaipur, Punjab, Silvassa, Ludhiana, Kashmir, Goa,mysore, Jharkhand, Odisha, etc. Through beam sensor authorized distributor for CarloGavazzi india, fotekindia. through beam sensor is having 2opposite sensors one is the emitter the other one is the receiver sensing range upto 20mtrs sree dhanam automation pvt ltd chennai Tamilnadu india is dealing wide range of other products like capacitive sensors, Inductive Proximity sensors, Photo sensors, Level sensor, loop detector, Temperature controller, power regulator, light curtain, Solid state relay(SSR), Electro mechanical relays(EMR), current monitoring relay, Voltage monitoring relay, smps etc.,& supporting the customers in india in a better aspects.We are providing one year warranty for our products. The new Loop Detector for vehicle detection continues the Carlo Gavazzi tradition of providing superior sensing technology and solutions for the door and entrance control market. The pulse mode relay can be configured to activate when the vehicle enters or leaves the loop. The output signal is useful for controlling all kinds of doors, shutters, swing gates, sliding gates etc. LED indication for power, relay status, loop fault. By keeping track with the market development, we are offering optimum quality Photoelectric Sensors. These sensors are available in diffuse reflective, background suppression, reto-reflective, polarized, through beam, clear object detection, and color recognition. Our provided sensors are manufactured by a team of our vendor’s professionals utilizing quality approved raw material and advanced technology. Our offered sensors are widely appreciated by our prestigious clients for their precise design and durability. The offered sensors can also be availed in various sizes, designs and other related specifications. Our organization has successfully expanded its business in market owing to the offered elevated quality array of Carlogavazzi Products.The offered products are designed and manufactured utilizing best quality raw-material and the latest technology. Moreover, a team of our quality controllers conducts a series of quality tests on the entire array to seek out any possible defect. In tune with industry standard, we provide the entire range in different customized options and industry leading prices. Owing to the expertise of our professionals, we have emerged as the foremost organization for manufacturing Proximity Sensors. Being a quality-oriented organization, we assure our clients that these sensors are best in quality. Our vendor’s skilled professionals only utilize fine quality raw material, while manufacturing the entire range of sensors. Moreover, our offered sensors can be availed in a wide range of sizes and shapes, as per the requirements of our esteemed clients. IMPORTERS & Distributor for Carlo Gavazzi, Fotek & Meanwell IN INDIA. Sensors we deals with carlogavazzi and fotek. 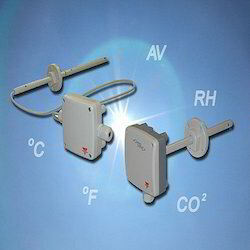 carlo gavazzi and fotek are the reputed make and accpeted by all over the world for its standardization. carlo gavazzi sensors have diffrent types proximity sensor,capacitive sensors, inductive sensor, photoelectric sensor, ultrasonic sensor, fibreoptic sensor, mark sensor, light curtain etc. 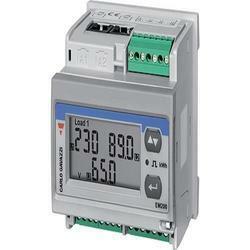 Carlogavazzi india other than sensors, we have relays, ssr, EMR, loop detector, energy meter, Temperature controller, power regulator, smps, LED driver, power supply, monitoing relays etc. 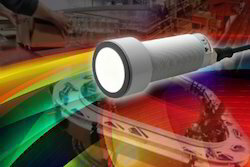 Being a client-centric organization, we are engaged in offering a distinct collection of Photoelectric Sensor. Our vendor’s professionals manufacture this sensor using well-tested raw-material and sophisticated technology. In addition to this, our offered sensor is rigorously tested by our quality controllers against diverse parameters in order to deliver a defect-free range at clients end. Moreover, the offered sensor is appreciated by our clients for featuring variegated attributes like optimum quality and durability. As per the variegated requirements of our clients, we are offering a broad collection of Safety Light Curtains. These curtains are designed in conformity with EN954-1 and EN61496 and have TUV and CUL approvals. These curtains are designed and manufactured using excellent quality raw material and latest technology by our vendors. In order to ensure quality, offered curtains are stringently tested on various parameters by our experts. Apart from this, remarkable quality and sturdy structure increase the demand of our offered range in the market. Keeping track with the market development, we are engaged in offering our clients with a wide collection of Energy Meter . The offered meter is manufactured using excellent quality raw material and latest technology by our vendor’s skilled professionals. In order to ensure quality, this meter is stringently tested on various parameters by our experts. Apart from this, remarkable quality and sturdy structure increase the demand of our offered range in the market.